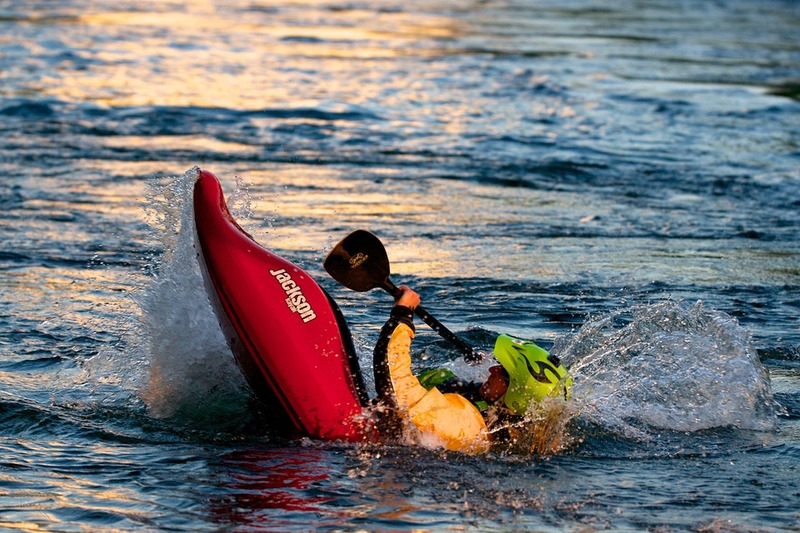 Kayaking can be as safe as you make it. If you’re heading out on a kayaking trip, it is entirely possible to have an excellent dry time, all day long. However, as with any sport, it is essential to spend some time thinking about and preparing for some of the dangers encountered when kayaking. In professional outdoor and extreme sports, there is a term; perceived vs real risk factor, to determine how to prepare and prevent real danger vs fear. Perceived risk is how dangerous or scary a situation seems, for example, rappelling off a 30-metre cliff is seen as high risk and scary because of the fall factor and almost certain death from a fall. However, we know it seems scary, but because of safety equipment, we are aware the chance of being harmed is extremely unlikely. Real risk is how inherently dangerous something is. An example of something with a perceived low risk but an actual real high risk would be driving a car. We don’t think much about the likelihood of harm, but it is relatively high. Kayaking on a calm river has both a low perceived risk and real risk, whereas paddling in white-water rapids has both high perceived risk and real risk factor. A valuable lesson to remember is to understand and learn the real dangers of kayaking. So, no matter what trip you are going on, you need to know how to manage risk and keep yourself and those around you safe. 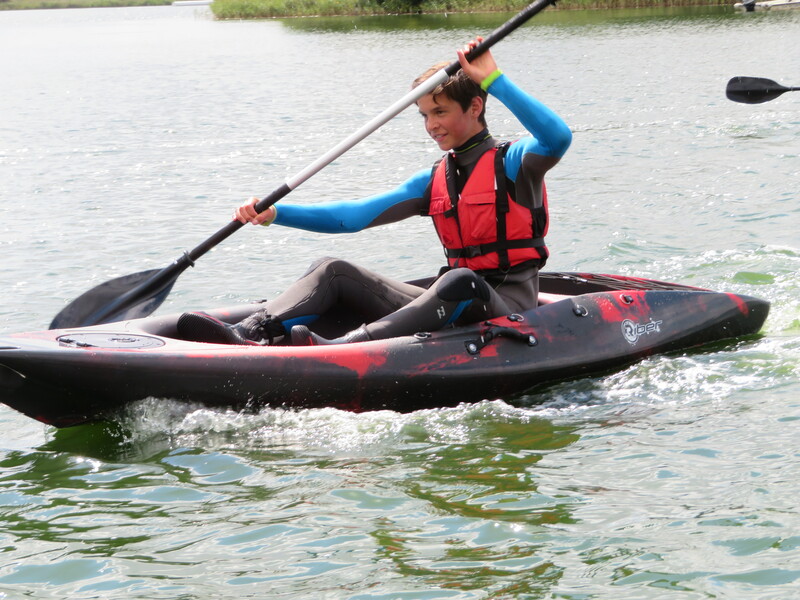 Read on to see our top tips on staying safe when kayaking. Hypothermia translates as low temperature; it is effectively a physiological reaction to the body’s core temperature decreasing or increasing drastically. Water is one of the quickest ways to lower core temperature, and prolonged contact with cold water will drain body heat faster than ice or snow. Hyperthermia can be prevented by wearing the appropriate clothing, which could mean a dry suit for extreme conditions or even a 4mm+ neoprene wetsuit, boots, hood and gloves. For recreational paddling, it could be worth avoiding paddling in cold weather months if you are a beginner or nervous about spending time on cold water. As a solution, consider paddling close to the shoreline, paddle with a partner, wear appropriate clothing and always make sure you have spare clothing appropriately stored in a dry bag in case of a capsize, and have a flask containing a hot drink with you in the kayak along with another waiting in the car. Simply put, a cold shock is when the body reacts badly to a drastic change in temperature; the entire nervous system becomes overstimulated and ceases to function correctly. Water even 15 degrees Celsius or below has a severe effect on the body. The solution is always to wear the appropriate gear, and not to panic. You could acclimatise yourself with the cold water before you start paddling, but make sure you do this with a partner at hand and probably a safety line and buoyancy aid. Cold shocks can still affect you even if you are aware of how cold the water is, and panicking can make your situation worse. In open, fast flowing water, swimming is usually the worst option, so try floating, slow your breathing and stay calm before attempting to climb back onto your kayak. Sweepers are low overhanging obstacles and branches that jut out into a paddling zone and should be avoided whenever possible, as they can be deceptively dangerous and could even cover strainers, which are similar obstacles to sweepers under the water that prevent vessels passing through and can trap you below the surface of the water. It might be funny to limbo under the low hanging tree branches, but suddenly you’ve misjudged your speed, someone takes a branch to the face, everyone loses balance, and the boat capsizes. What was meant to be a bit of a laugh has become dangerous and it could get potentially worse if you, the boat or both are pinned to the tree by the current. Strainers are particularly dangerous as they are submerged trees and hard to spot under the dark surface of the water. The complex tangle of debris can get you caught in the undercurrent; it can be nearly impossible to fight the force of the current underwater as you get strained against the mesh of debris. If you ever find yourself in an unavoidable dangerous situation of hitting a strainer, lean into it! Do not lean upstream as this will cause the upstream edge of the kayak to tip down, and maybe flip over which is the worst case scenario. You can avoid them by educating yourself and fellow paddlers with you on the outing on how to spot them. Scout ahead of dangerous runs and look out for them, and always carry a cutting tool tethered to your buoyancy aid to get you out of tricky situations. An undercut in the water world refers to an area of the bank, rock ledges or mud banks on rivers that form a large shelf and create a hollow depression under the water. A submerged swimmer can become trapped beneath a solid shelf under the water’s surface. Undercuts are not usually visible from above the water; they’re found when it’s too late. Paddle with a partner and wear your buoyancy aid when kayaking. If you get trapped when you capsize, try and think and feel your way out of the situation. Stay calm. If you are heading to a new area you are not familiar with, paddle with someone who knows the river to avoid accidentally finding an undercut. For those who do not know, a weir is a man-made river obstruction to help manage river levels, where a full dam isn’t appropriate. On the downstream of the river lives a deadly monster – the hydraulic; a self-circulating current of water that will trap a submerged swimmer in an unending cycle of re-submersion. They might look shallow and easy to navigate, but don’t let that deceive you. Our best advice is to avoid weirs altogether. Paddle around them and treat them with respect or they might get you! Pull ashore and portage respectively around them; it’s not worth taking them on. If ever find yourself in a hydraulic, relax and swim downwards and adopt a ball shape where the current flows out of the repetitive cycle and hope to get spat out. Remember that with all hydraulics, just because the water doesn’t look like its “boiling” the danger could be lurking deep below the surface. While it might not seem as important as winter comes along, you can still get windburn, when the sun is burning you but the cold wind makes you think it is not hot enough. Though autumn is often grey and cloudy, British winters can be clear and bright, so remember to protect your face! Excessive sun exposure can lead to several health problems such as heat stroke, heat exhaustion and dehydration. There is very little if any shelter from the sun when paddling. Beware of reflected sunlight from the water’s surface, as this can cause added problems to all of the above through lack of clear vision. In the summer, we advise wearing sunglasses, lightweight long-sleeved shirts and trousers, a wide-brimmed sun hat and sunscreen. In winter, it is normal to wear a full-body wetsuit, so sunscreen only needs to be applied to your face, but sunglasses and a woolly hat or hood on your suit is beneficial too. What you may call a life jacket is actually a buoyancy aid or Personal Flotation Device (PFD) as they won’t save your life, they only aid you in floating. Understanding how your buoyancy aid works and ensuring you buy the correct size is critical to improving survival rate. Make sure your PFD is rated for the correct size and weight for the job. Have someone check the fit by placing two fingers under each shoulder strap and lift firmly. Your shoulder straps should not slip past your ears. It is best to not wear items around your neck such as necklaces, lanyards or map cases, as they add to the danger; you don’t want to be capsized and have something around your neck get caught too. Find other solutions for carrying your kit such as a dry bag, a pocket on your PFD or tether things to the kayak. For glasses, avoid wearing them if you can, but if not, invest in a tether that doesn’t sit around your neck. 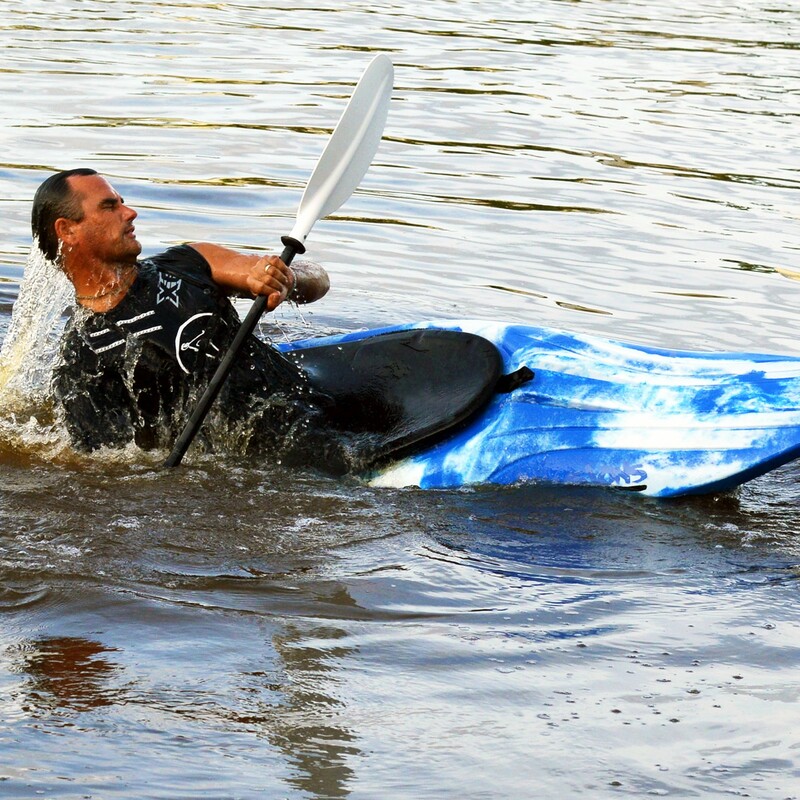 Hopefully, you have come away with some new and insightful tips about kayaking safety. It is important to educate yourself on the sport – even the scary parts, so you can ensure you have a fun time out on the water. 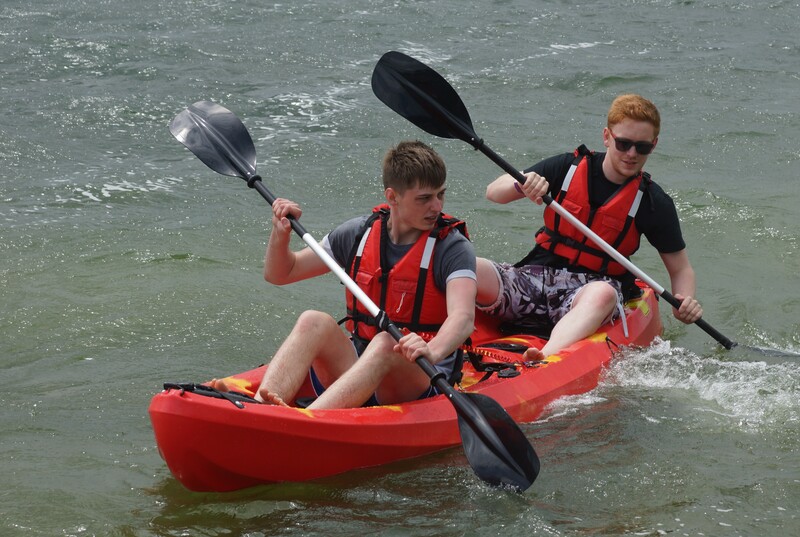 If you are interested in having a look at our range of 2 man kayaks for sale, check them out on our website.